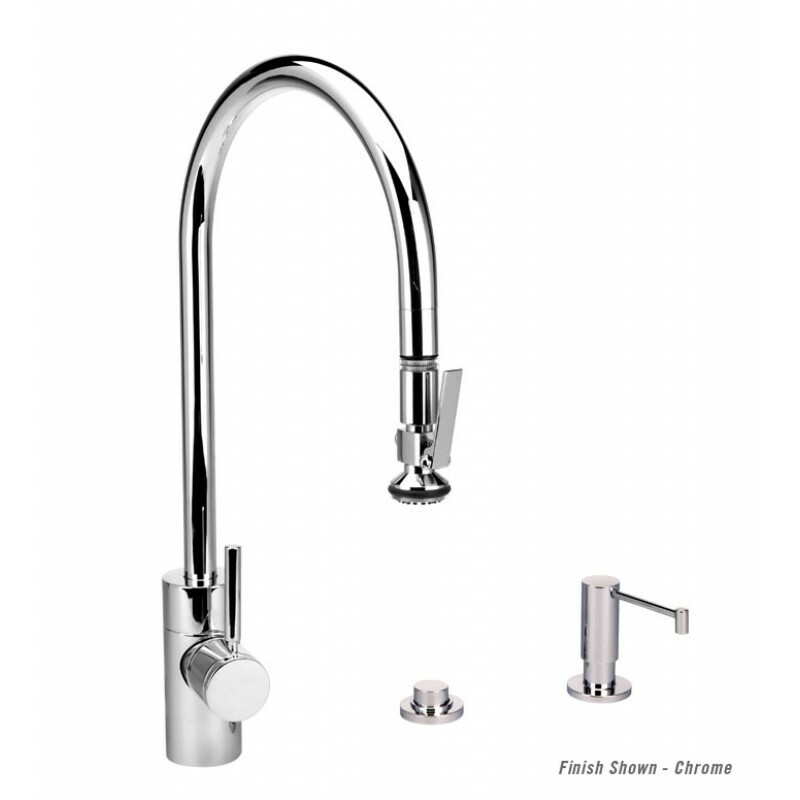 5700-3 PLP Extended Reach Kitchen Faucet Mini Suite. Includes Soap/Lotion Dispenser and Air Switch. Contemporary Style. 21 1/2" x 11". 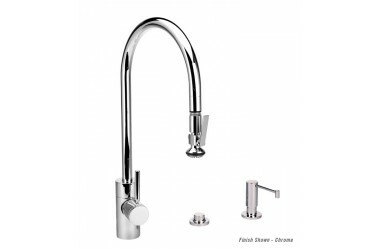 Compatible with Reverse Osmosis systems. Spray head extends 18" from the spout. Pre-positioned "easy pull" counterbalanced weight. Select lever spray or aerated stream. Solid brass or stainless steel construction. Spout swivels 360 degrees. Single lever control with Hot/Cold ceramic disk valve cartridge. Handle adjusts 22.5 degrees in either direction for backsplash clearance. Reversible or removable Hot/Cold indicator ring. Reinforced braided connection hoses.